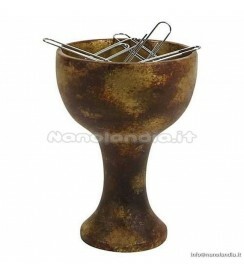 "He who drinks from the Grail shall be granted eternal paperclips!" Well, not really, but if you're in search of the Holy Grail… look no further! You can own this polyresin miniature of the coveted artifact as seen in the movie Indiana Jones and the Last Crusade. The paperclip magnet measures 4-inches tall and 2 1/2-inches in diameter. 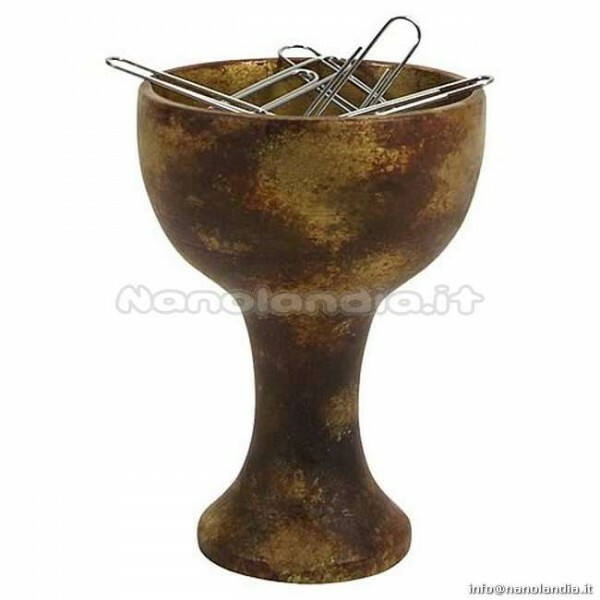 Although a gulp from this cup won't bring you eternal life, this is a perfect way to keep tabs on your paperclips or push pins. Buy this and the other Indiana Jones desk accessories to organize your desk in true Indy style! Other accessories sold separately.